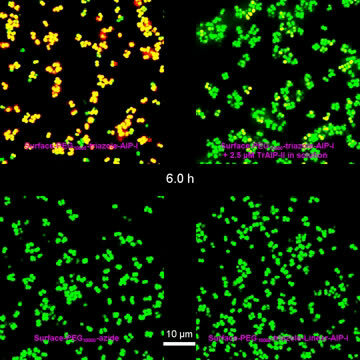 Princeton University researchers found that adding chemical coatings to surfaces can promote or inhibit bacterial communication known as quorum sensing, which is involved in biofilm formation and other bacterial behaviors. 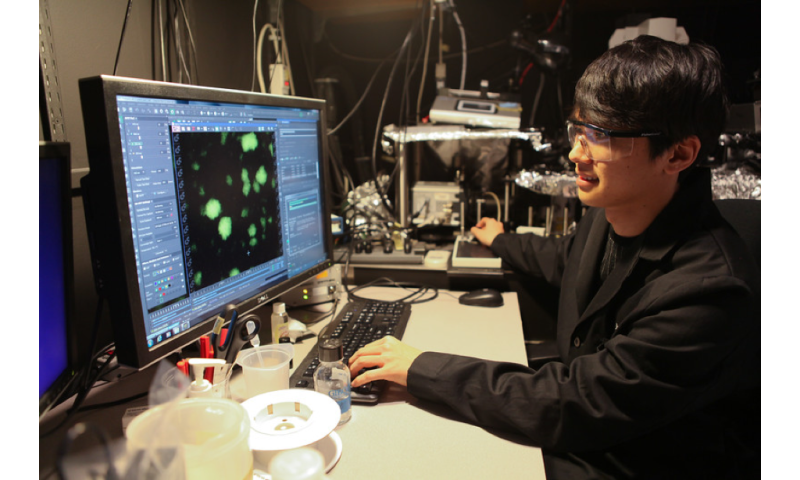 In this photo, graduate student Minyoung Kevin Kim views bacterial activity through a microscope. Credit: Princeton University. The new technology, reported May 22 in Nature Microbiology, contain the very same sorts of biomolecules that microbes release naturally for communicating and coordinating group behavior—a process called quorum sensing. Hijacking this bacterial language of quorum sensing could open a range of applications, the researchers said. Coating surfaces in hospitals could combat the formation of fortress-like communities of bacteria called biofilms, thereby leaving the germs vulnerable to antibiotics in humans or to disinfectant cleaning products on hospital surfaces or equipment. Alternatively, if the bacteria deliver benefits—as in wastewater treatment plants or in probiotic production—then coating the surfaces of industrial equipment could boost the microbes' helpful activities.